From the number of times I have been posting mango flavored cakes and desserts this summer, it must be plainly obvious that they are by far my favorite seasonal fruit. 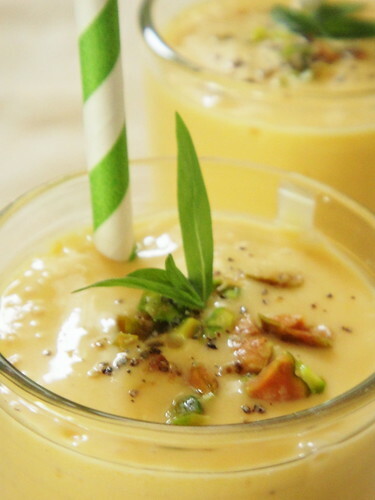 Well, come on, who can resist a chilled mango lassi in this heat? 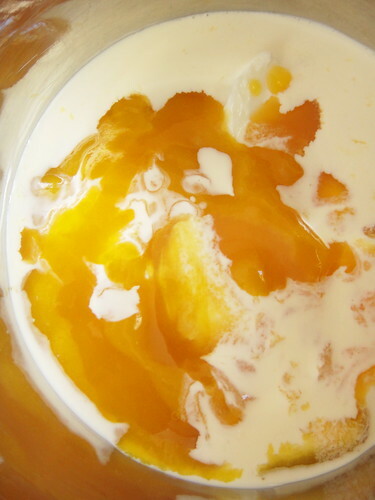 The balance between the sweetness of overripe mangoes and the tangy flavour of freshly made yogurt is what gives this Indian beverage it uniqueness. A pinch of crushed cardamom is all you need to add to this childishly simple recipe from SimplyRecipes before serving. Though it mentions two servings, I think that you should double the recipe to be on the safe side; a single glass might not be enough for foodies like me. 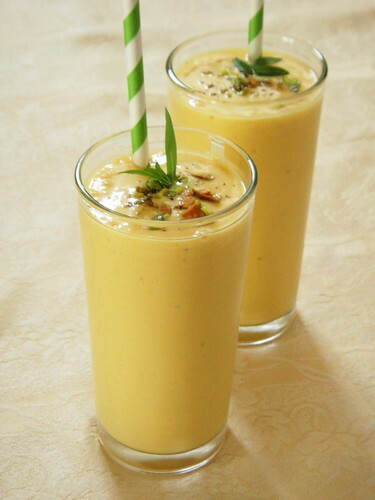 Put mango, yogurt, milk, sugar, syrup and cardamom into blender, blend for 2 minutes. 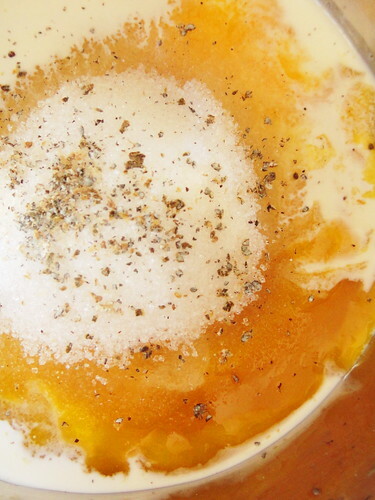 If you want a milkshake-like consistency, blend in crushed ice or serve it over ice cubes. Sprinkle with a pinch of ground cardamom before serving. 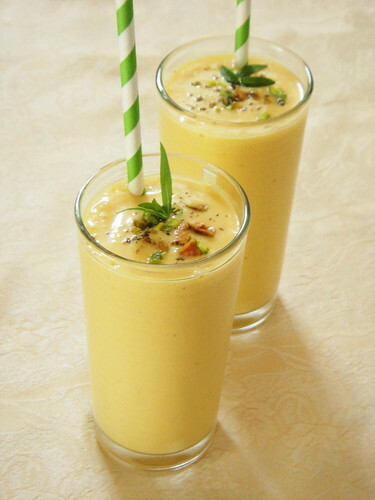 Makes 2 cups of mango lassi. 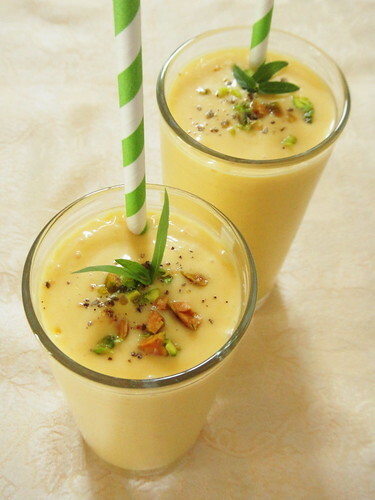 Lassi can made ahead and kept refrigerated for up to 24 hours but are best served fresh.